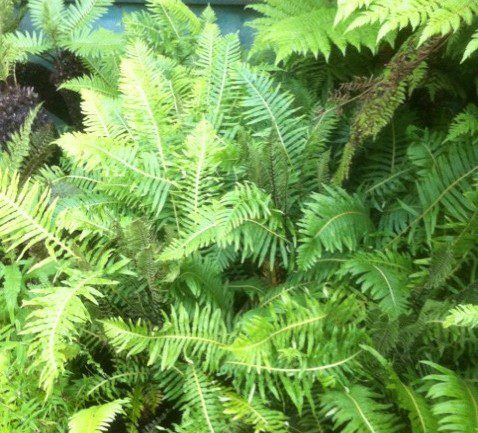 Blechnum nudum is a wonderful fern that is a great addition to any fernery. Blechnum nudum forms an erect, rounded clump with a small black fibrous trunk up to 30cm, spreading by rhizome to form large colonies over time. Like many of the Blechnum species, the sporing fronds are markedly different in shape to the vegetative fronds. Spore-bearing fronds are much more slender and appear erect from the centre of the fern. I have had a number of plants in my garden for a few years now without any problems over the winter. However this can be a borderline fern with regard to full hardiness and therefore this should be borne in mind when choosing where to plant so as to offer the plant adequate protection from both wind and frost as much as is possible. 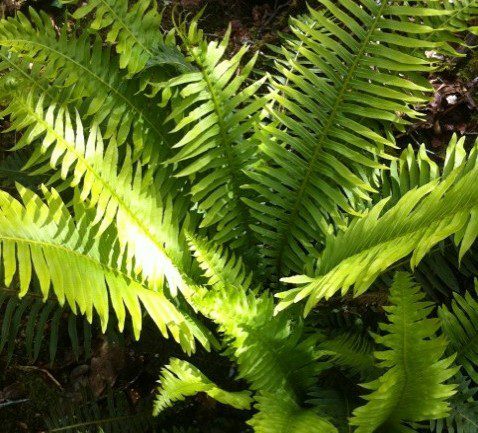 As the common name suggests, Blechnum nudum is found in fern gullies and wet boggy patches in mountain creeks, in association with Dicksonia antarctica, and therefore it does best when its roots are permanently wet. Hardiness: Performed very well in 2010 where most of my plants survived the severe cold. Whilst the existing fronds will blacken the fern will come back strongly in the spring.